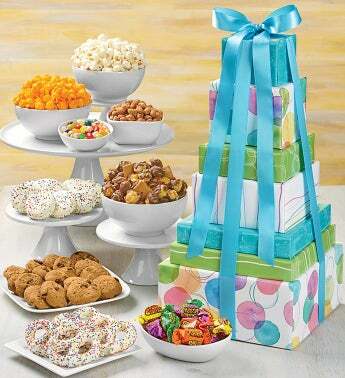 The perfect gift to celebrate a any occasion, our new Say It With Dots Tower offers a medley of shareable treats. 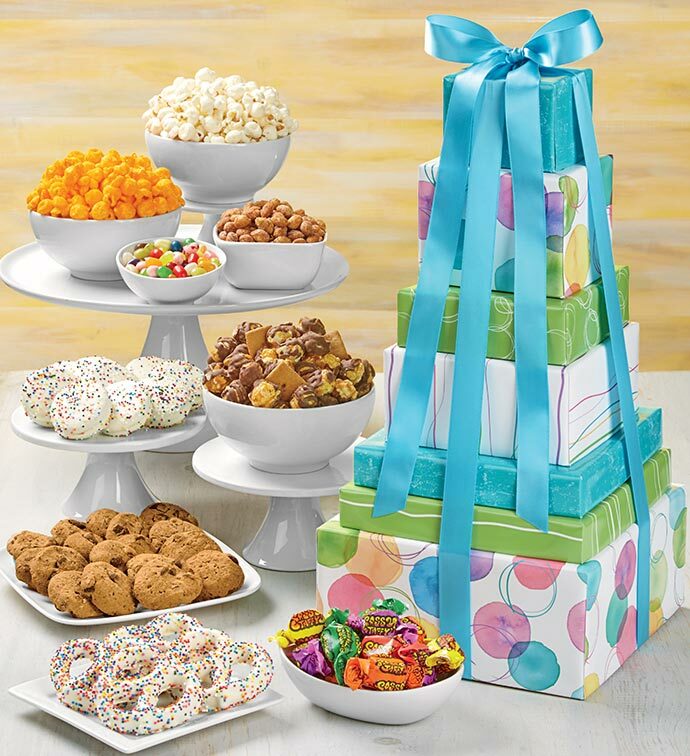 The 7-tier tower comes with Jelly Beans, Honey-roasted Peanuts, Sour Sassy Taffy, Chocolate Chip Cookies, 4 Gourmet Rainbow Pretzels, Rainbow Sandwich Cookies and 3 flavors of popcorn: Cheese, White Cheddar and Cocoa S'mores. 2lb 8.6 oz. Serves 4-6.